Having kids is synonymous with losing things. Multiply that a couple of hundred times in a school setting and you have a logistical nightmare where only the labelled survive. 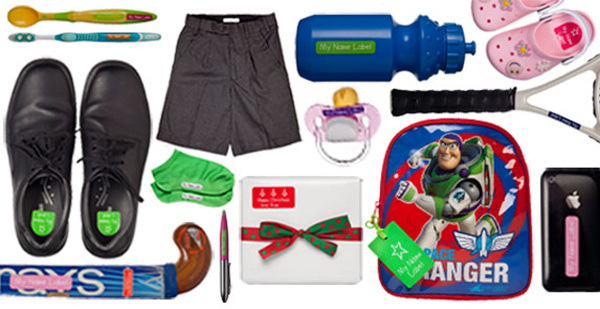 Don’t spend your year scavenging through the lost property box, plan ahead with name labels for everything and anything your child is likely to take to school. Tiny Me seriously thinks of everything and even their uber practical name tags have a swagger to them. 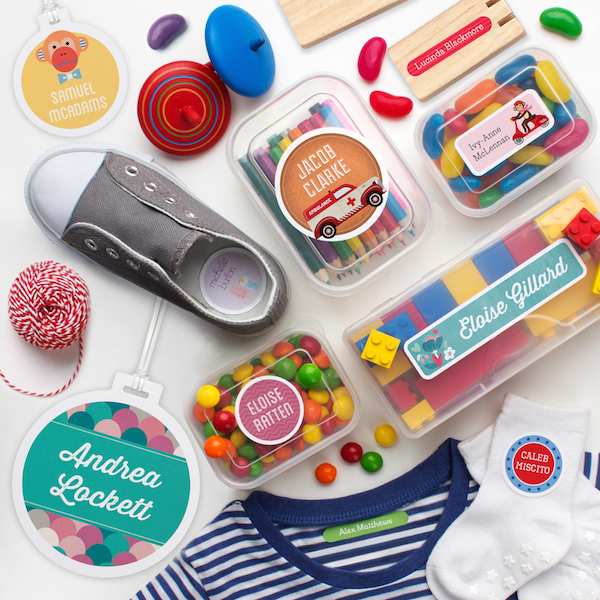 Tiny Me name label value packs (pictured above) are bursting with cheery colours and oh-so-cute designs, these a-bit-of-everything packs have all your kids need to make their mark on the world. Or at least on their school gear. Stacked with clothing labels, book labels, gift tags, and all-purpose labels for lunch boxes and drink bottles, it’s like graffiti, only legal…and cute! There are a variety of label value packs starting from just $28. Bright Star is famous for their high quality and affordable name labels that have helped thousands of belongings to find their way back home. 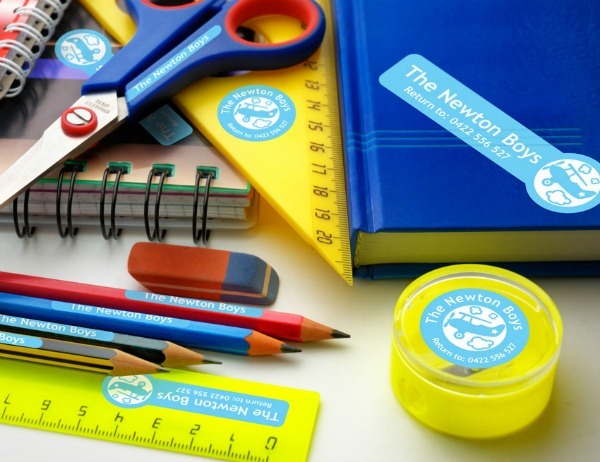 In their popular school labels value pack you get a whopping 190 or more stick on and iron on labels for $44.95. They are perfect for kids at kindy, primary and high school, and can be used on books, lunch boxes, stationery, shoes and kids clothing. If you’re not exactly sure what you’re going to need yet, a starter pack from My Name Label is a great place to start. 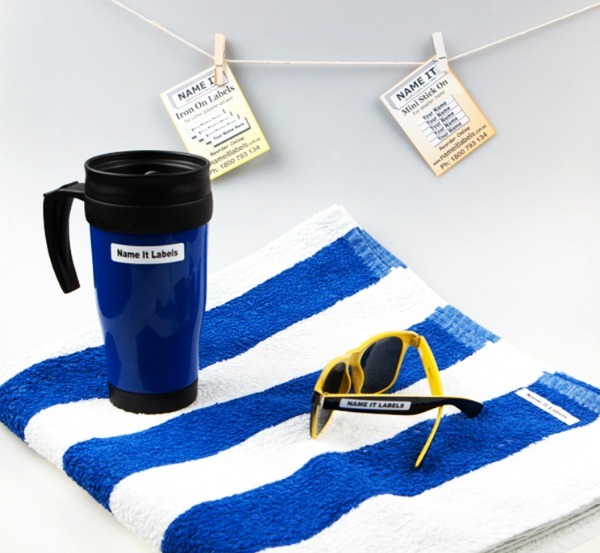 Included in the pack are 20 big stickers, 20 small stickers, 20 mini stickers, three pairs shoe labels (plus protective overlays), a bag tag, 25 standard iron-on clothing labels and 20 mini iron-on clothing labels (navy blue lettering) for $37.50. If you’re looking to add a bit of personality to your name labels then Stuck on You has a great selection. Priced from $20 to $50, even their School Starter Value Pack for $39.95 has tags with lots of fun and colourful image options that you can’t find anywhere else. If you prefer to keep things simple and stylish, Name It Labels has that corner of the market covered. Their iron on labels in particular are highly revered and they guarantee the label won’t fade or come off the clothes. 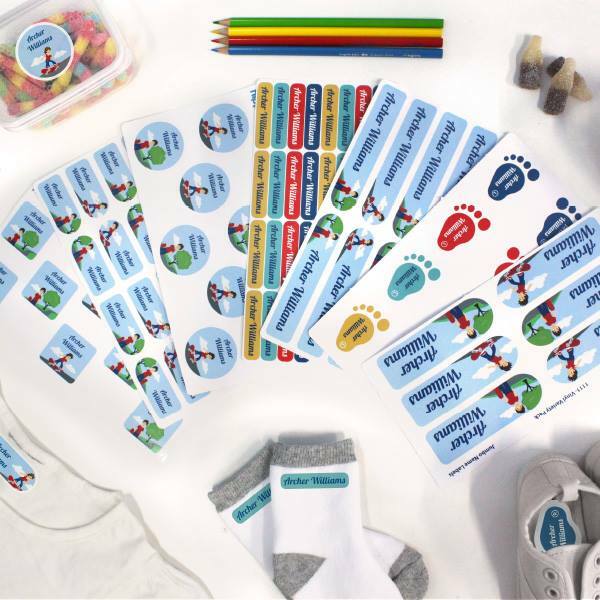 Their value packs start from $59 and include a combination of iron on clothing labels, stickers and mini stickers as well as enough shoe labels for 10 pairs of shoes. Here’s a fun idea for book labels – scratch and sniff stickers. 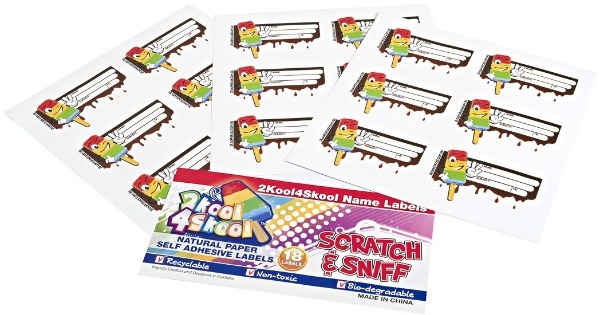 Available in chocolate or bubblegum flavour, these name labels from 2 Kool 4 Skool will leave your child’s backpack with a much yummier aroma than mouldy sandwiches. 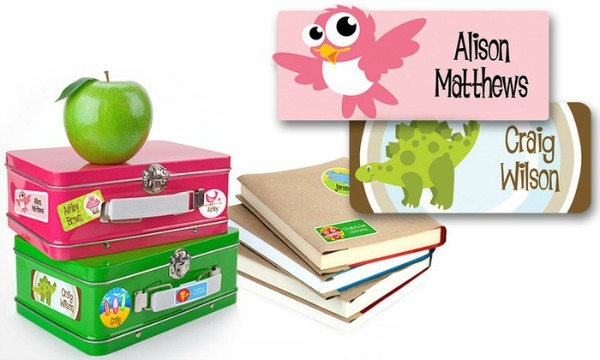 The masters of personalised kids products in general, Dinkleboo have an extensive range of sticker and iron-on name labels. 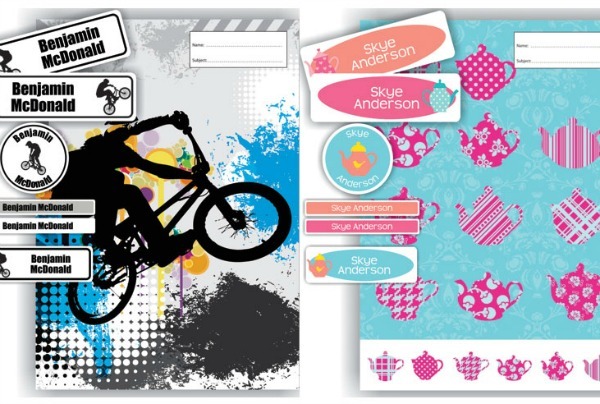 Simply choose a design out of the 44 options available and customise it with your child’s name. There are 42 rectangle stickers or 45 circle stickers in a pack for $19.95. Label Kingdom offers some fresh images and icons to accompany their name stickers so they appeal to older students as well as those just starting school. There are two variety packs available: the In Style Essentials Value Pack with a combination of stickers, iron-ons and a bag tag for $43.95. If you have more than one kid at school this year, I’d recommend considering their Time Saver Essentials Pack. At $82.50 there is a hefty upfront cost but when you get a whole stack of matching book covers as well as the name stickers and iron-on labels, the convenience factor quickly accounts for the outlay. For a truly durable option, get custom made name labels from Hippo Blue. Tested to be dishwasher safe, microwave safe, waterproof and rip resistant, these labels promise to keep up with your kids’ active little lives. Hippo Blue’s value packs start at just $18 but their Mega Label Value Pack includes 222 stickers and iron-on labels for $32. Our final offering for this back to school season is something that keeps on giving. 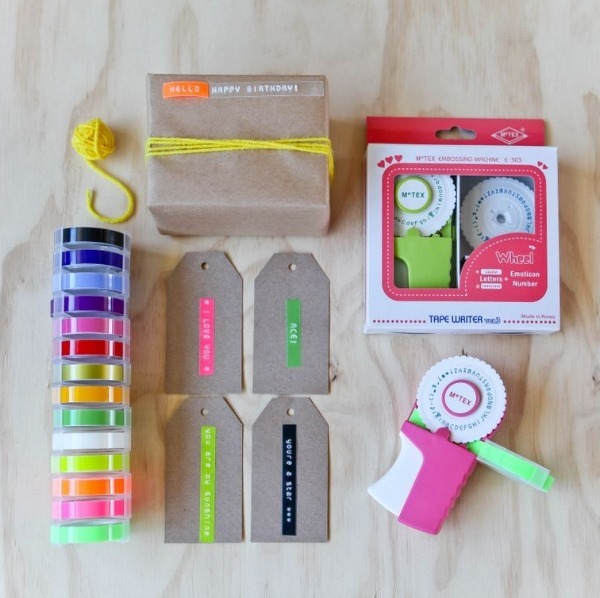 The MoTex Embossing Label Maker means that you can create your own colourful and customised name labels right at home. Of course, labelling the kids’ books is just an excuse – the real fun begins when you get crafty yourself, making gift tags and labelling everything in your pantry. Don’t stick to boring black tape though, MoTex offers fluorescent and pastel colours as well as patterned tape for every season and mood. Buy the MoTex Embossing Label Maker for $24.95 from Lime Tree Kids and extra tape from Lark for $3.95 each.